My hubby and I go through phases when we're really good with our money and can stick to a budget. Then, we have times when we just don't do that well with our money. We spend money without even giving it a second thought. It seems like most of my life, I've been trying to recover from some kind of debt. They should never be allowed to give credit cards to college students. Seriously, I had a college roommate once who was over $10,000 in debt before the age of 22. That didn't even include any student loan debts he may have had. He used to laugh whenever a new company gave him a credit card. At any rate, I did get credit cards when I lived in my college town. In the beginning I was doing pretty well managing it. I only had a $500 limit and did pretty well paying it off. Fast forward five years and I somehow had about $4000 in credit card debt. Truthfully that was a long time ago, so I have no idea how it happened. Based on life right now though, I can venture a guess. It was the little things. The little things add up quickly. So, so quickly. 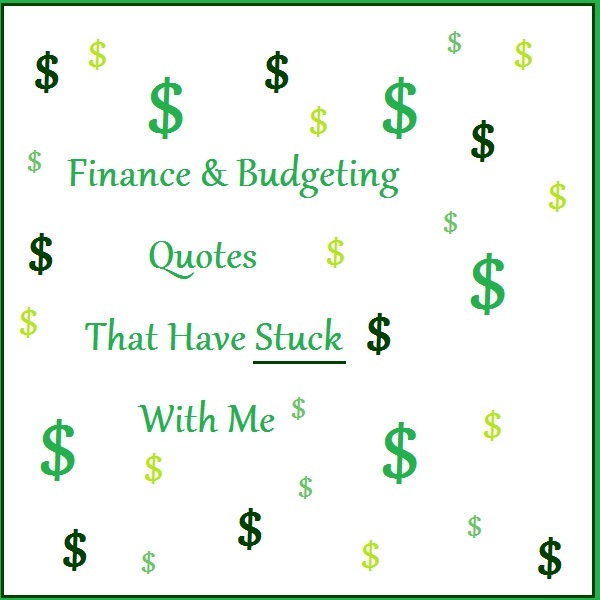 Here are the quotes about budgeting and finances that have stuck with me. Sometimes, I put them in the back of my mind and they do me no good. These quotes are always there though. Every now and then they come to the forefront of my mind to bring me back into balance. I am NOT a financial planner. 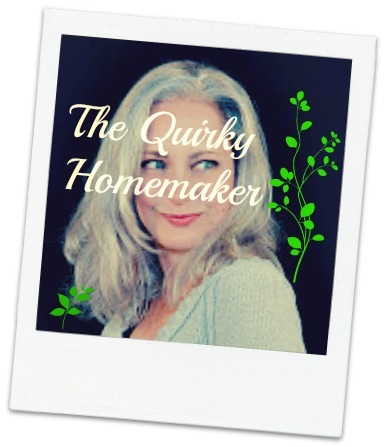 I'm just an ordinary "Jane Doe" trying to keep my family's heads above water. This is not financial advice. You should talk to your own financial planner. These are just quotes that help me to stay on track sometimes. I'm unsure where I've heard some of these, so I don't know who to give credit for the quotes. "Mind the pennies and the dollars will mind themselves." This is one of my favorite quotes. It speaks to me about how the little things add up quickly. If you pay attention to the small things, there is less of a chance of that, "How did I get here???" moment. Remember a snowflake by itself seems harmless. Put a bunch of snowflakes together and they can cause all kinds of mayhem. "There are scholarships and financial aid for college, but there aren't any scholarships for retirement." When I heard this one, I was like: "Mind. Blown." Of course there is no financial aid for retirement! We all know that. But have you really thought about it? I had been saving for my kids' college since they were in utero. We'll never have enough to pay for the whole thing. I figure by the time they go, they might have enough saved to pay for one semester. The point is, though, that I should have also been thinking about my retirement! When I started saving for their college, I didn't even have a retirement plan started for myself. In fact, I didn't start saving for retirement for myself until about four years after they were born. That was a huge mistake. 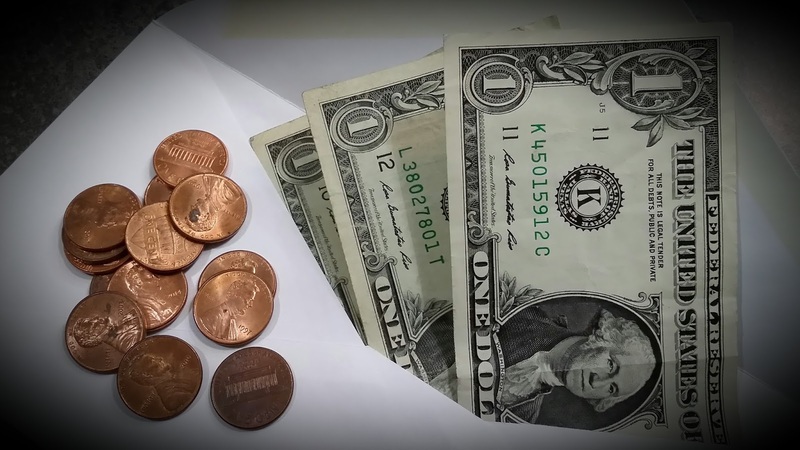 If you only have a limited amount of money to invest in any given way, retirement comes first. I know that now. "When investing, max out your retirement account (IRA) before investing in a non-retirement account." I jumped into the stock market feet first in 2008. When everyone else was running, screaming from the stock market, I got in. That was a good idea! Unfortunately, I didn't ride it out long enough. I would probably have a pretty hefty sum of money right now if I would have kept my money in the stocks that I had. Now, I'm not talking huge money. I only had a hundred dollars here or a hundred dollars there that I was investing. The bad idea, although I didn't know it at the time, was that I should have put that money into an IRA. With most online brokerages, you can have an IRA account and still choose which stocks you'd like to put your money into. I could have taken all the profits in my tax free accounts and been way ahead in my retirement game. Plus, I would have been less likely to take the money and run if it would have been in a retirement account, since there would have been fees to pay if I removed the money. "If you can't be trusted with the small things, how can you be trusted with the big things?" I guess this could be about anything, not just money. And it really has more to do with the stuff that you have, and that you use, than actual finances. This one to me is more about changing your mindset to become less wasteful and to appreciate where things come from. It goes along with the whole "small things add up" thing. If you waste a little food here or a little electricity there, you don't think about it. To me, it's about more than just money. It's about everyone and every thing who has had a part in whatever it is that you're wasting. Take bread for example. Someone had to grow the wheat. Then someone had to process the wheat into flour. Then someone had to use the flour to bake bread, which required not only the wheat, but salt (which had to be mined, or manufactured. . .or however they get salt!) , yeast, sugar, and water (which more than likely had to go through some kind of water treatment plant). Then, electricity or gas was used to heat the oven in which it was cooked. And then it took machines to package the bread, which probably took electricity and more people to run or maintenance the machines. It took trucks that used gas to get the bread from the manufacturer to the store. Then it took a person to stock the bread on a shelf and another person to cash you out when you bought it. Then you used gas to get from the store to your home. If you let that bread go bad, all of that was for nothing! At that point, what are you telling the universe? I'm just gonna stop there and let you think about that. I will say though, "Show regard for the small things and greater things will be given to you." 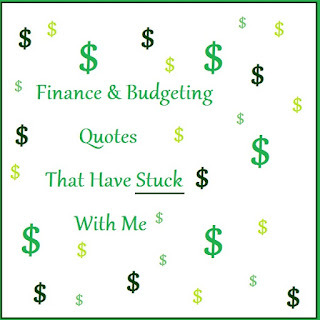 Which quotes, sayings and advice about money and budgeting have stuck with you? My husband and I don't use credit cards anymore. We got in trouble with creditors in the past, so we play it safe and don't use them. This is the reality "If you can't be trusted with the small things, how can you be trusted with the big things?" 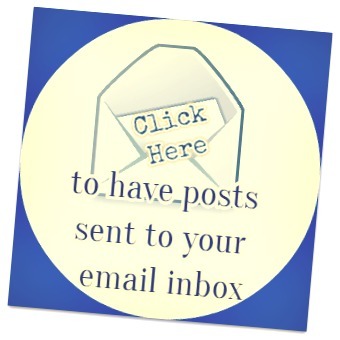 Great thanks for sharing Finance and Budgeting awesome quotes.